Nerikomi ceramics | Ooh, my favorite! I’ve gotten a few questions about the ceramic tea cup I used in the matcha tea post last week so I figured I’d share all about it since it’s pretty freakin’ cool. 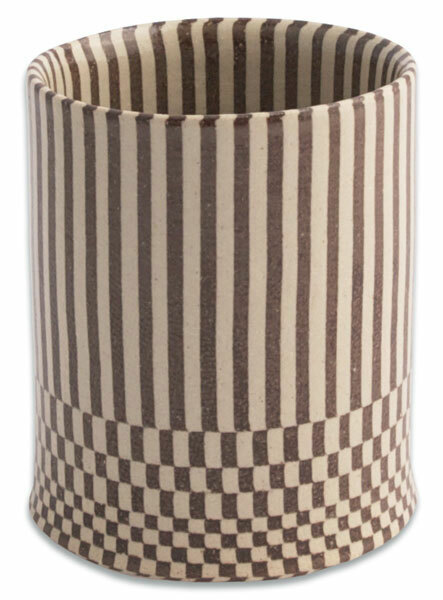 The ceramic is an ancient pottery technique called nerikomi (or neriage) where colored slabs of clay are folded and stacked to create patterns in the clay. It’s widely considered to be one of the more difficult techniques to master because of the painstaking and delicate care that’s required to create the patterns. I happened upon these pieces at Far 4 here in downtown Seattle. When I saw this cup it was so Andrew to me: the colors, the pattern, the shape. It was instantly special and I had to get it. 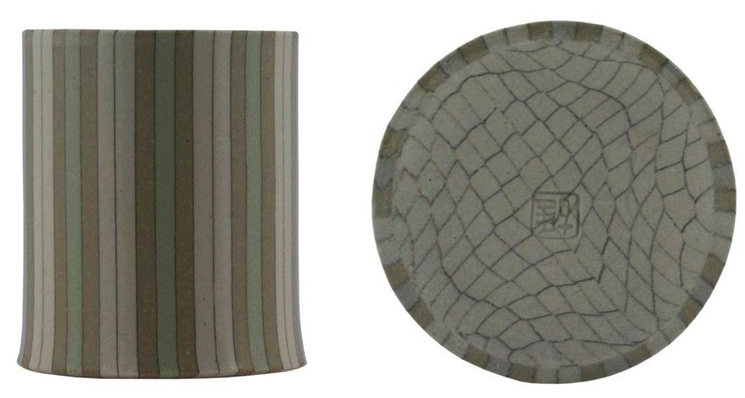 This particular series is created by master ceramicist Yusuke Aida, one of Japan’s most respected artisans. More than just a cup we often pause to admire it as an object of art…and when you consider that many of us are guilty of cupboards full of free mug swag or crummy tourist souvenirs it’s been really nice to have a unique and special piece to enjoy with tea every day. Have you caught on that Andrew’s cup has become our cup? All the more reason to justify finding one for me now, right? I’m really liking this checkered guy here. With Yusuke Aida in his 80’s now, there are some younger artisans that have taken up the art of nerikomi, and the price point is not quite as high as. I am really excited about discovering Sakai Mika. Her pieces are for sale online here. And if you’re curious to see more of the nerikomi process, check out this amazing post on her technique. Yusuke Aida ceramics available online, or at the Far 4 shop here in Seattle.